Since the last few years, the state of Punjab has been attracting a lot of medical tourists both from India and abroad for dental treatments. Qualified doctors, excellent infrastructural facilities, extensive care amenities are the primary reasons for this interest. 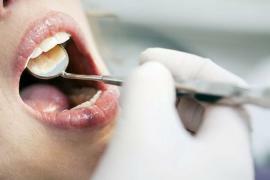 The removal of tooth's pulp is called Root Canal Treatment. Tooth's pulp is a small thread-like tissue at the center of the tooth and contains arteries, nerves, veins and lymph tissue. After the removal of the diseased or decayed pulp, the remaining space is cleaned, given shape, and filled. When the decay advances into the pulp, the tooth begins to ache and is usually at a high risk of infection. Deep cavity, tooth injury, and crack in the teeth are the major reasons of damage to the pulp, which results in the root canal treatment. Dental Crown or cap is placed over the tooth to improve its appearance and add strength to it. Created from metal, porcelain, or a combination of materials, crowns are set over the tooth to cover its cracked, damaged, or broken fragment. Broken or cracked teeth cause tooth trauma, which usually happens from unusual use of teeth such as nail biting, using teeth to open things, tooth grinding etc. Decayed or traumatic teeth are repaired using fillings/different materials, the most common being composite fillings created out of tooth colored resin which feels and looks like natural teeth. 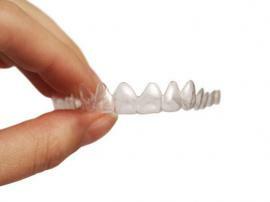 For replacing missing teeth, bridges or implants are used. A bridge is used to fill a gap left by a missing tooth. Bridges are supported by either natural teeth or implants. Implants are frames/metal posts that are surgically positioned beneath the gums into the jawbone to act as an anchor for the replaced teeth. 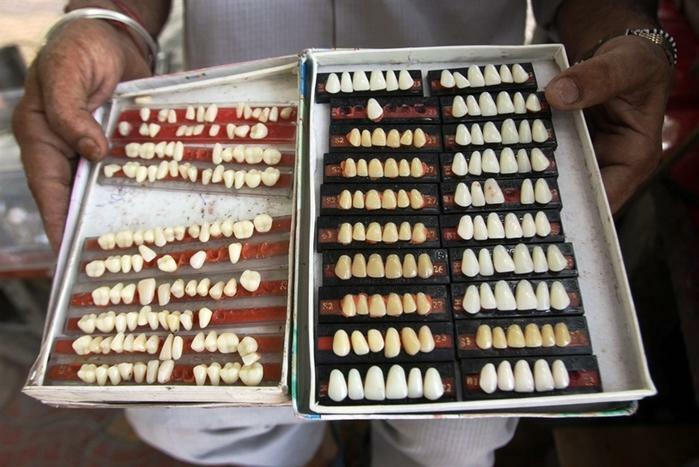 With age and time, teeth naturally darken. And because of certain foods and beverages like black tea, coffee, berries, etc, teeth also get stained. Staining is also caused by tooth trauma, cigarette smoking, and usage of certain drugs such as tetracycline. Discolored and stained teeth are whitened using a peroxide-based material. Teeth whitening is one of the most popular cosmetic dental treatment in Punjab. Tooth extraction means the removal of a tooth from its place in the bone. Usually a tooth is extracted when it is severely decayed or broken. For most of the dentists, extraction is only the final option; they try to fix it first by filling, placing a crown, or by root canal treatment. Some people also get their tooth extracted if it's extra or if it's a wisdom tooth. Punjab is steadily gaining popularity for its dental treatment procedures. The above mentioned six treatments are, however, the most popular of all. Which is Better - Traditional Metal Braces or Invisalign Braces Tampa? Alice Torrente, DENTAL works in Clawson, Michigan is a specialist in Dental Hygiene. Amber L Cornella, RDH works in Pueblo, Colorado is a specialist in Dental Hygiene. Amy C Reid, RDH works in Atlanta, Georgia is a specialist in Dental Hygiene. Angela L King, RDH works in White Cloud, Michigan is a specialist in Dental Hygiene.